I made it to day 4 without missing a post! Woo-hoo me! Thanks to those of you who are still with me... ;o) I'm having a lovely break so far, very relaxing. Just wish the weather would perk up a bit as it is miserable at the moment. This is probably what inspired this card though... I'm craving hot, hot, HOT! Still addicted to these Kraft blanks. Think I might sneak back to The Range this week to see if I can pick up some more in different sizes. I never thought I'd see the day when I'd be buying card blanks...! Stamp with Fun - Not an Easter Card. I've been absent from blogging and hobbies for something that feels like ages, but am now back into crafting again, carefully! I hope you have a wonderful Easter, sweetie! 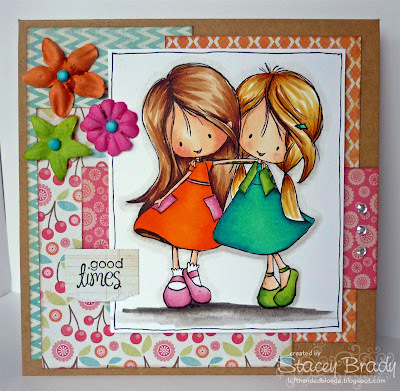 Oh Stacey what a gorgeous card and such an adorable image. 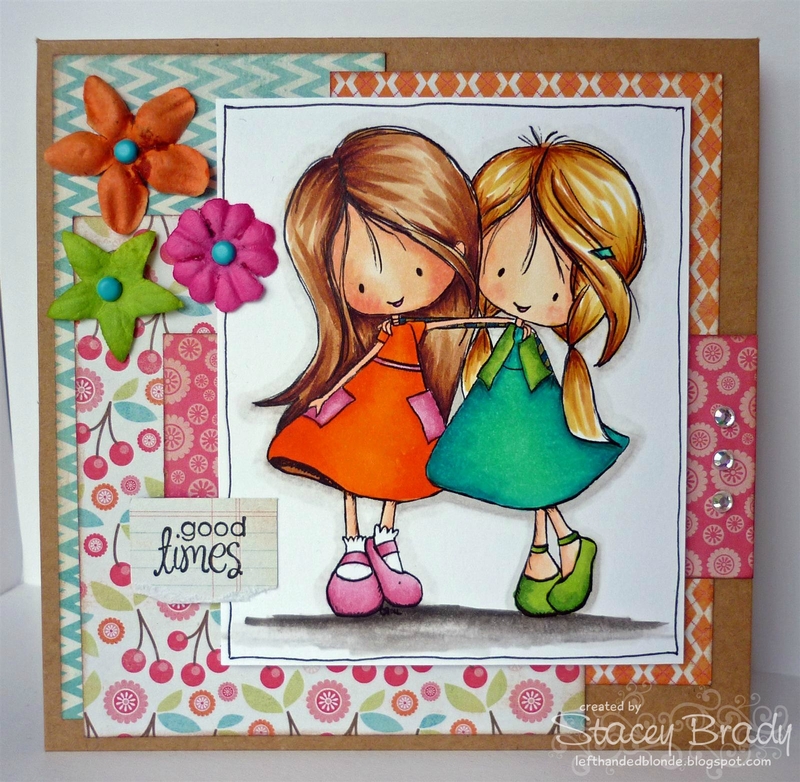 soooo cute stacey...love your coloring and all the fun patterns! Gorgeous card Stacey! Lovely bright colours! I'm all for card blanks... they're the best! Very nice creation - love the color and the design. Thanks for joining Stamp with Fun. I Love Dies to Die For! My First Ever Redonkulous DT Card!